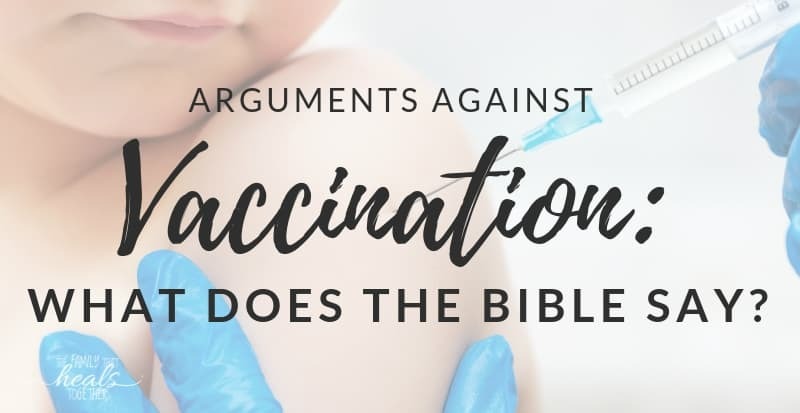 Arguments Against Vaccination: What Does the Bible Say? Increasing numbers of parents are finding plenty of arguments against vaccination, including the reality that vaccines go against what the Bible says and what God wants for His creation. In this article, Danielle sheds some light on why Christians may want to rethink vaccines, and why it is essential to protect our religious freedoms. Most parents don’t even think about questioning the modern medical care system. You have a baby; you get vaccines and whatever treatments your doctor says he needs. But how about investigating the arguments against vaccination? Is society’s current paradigm what Christians are called to follow? Does the Bible even talk about vaccines? I would argue that yes, the Bible talks about pharmaceuticals, trusting in man, the holiness of our bodies, keeping our hearts and hands clean, and what happens when God’s creation is altered in depth. And that, my friends, touches on the issue of vaccines. How did vaccines get on the scene? In the mid-1800’s, Louis Pasteur developed the “germ theory,” the idea that germs are the cause of all disease. He then developed pasteurization, a way to heat food and kill microbes that may cause illness or disease. But, pasteurization also kills beneficial bacteria and enzymes. His contemporary, Antione Beauchamp, came out with an opposite theory called the “terrain theory.” This theory highlights that healthy food, hygiene, and lifestyle affect a person’s terrain or immune system. Interestingly, it’s widely accepted that Pasteur said on his deathbed that Beauchamp was right, “it’s all about the terrain.” However, the germ theory flourished and is still accepted today. It is what our modern medical system, and vaccines, are based on. Aren’t vaccines saving lives? We are only using the wisdom God has given us, right? The Bible contains stories showing how God’s people relied on their own wisdom to do what was good in their own eyes, only to find out they hadn’t asked their Heavenly Father what He thought. The golden calf (Exodus 32-34), King David (1 Samuel, 2 Samuel, 1 Kings), and King Solomon (1 Kings) come to mind. But vaccines? Where does it talk about that? Let’s explore some verses that may bolster the arguments against vaccination for Christians. Let’s start at the beginning, when God created the Heavens and the earth, and then he created Adam and Eve. Did God create Adam and then realize He made a mistake? Did He miss something in the immune system? Do we really think we can improve on His creation? That sounds more like pride rather than wisdom to me. God stated that His creation was “good” four times, not just one. His good is just that – entirely good, without blemish. Human nature is to want to improve on things. We think that we can make things easier and better for ourselves (remember how the tower of Babel turned out?). But the Bible is clear that God has it down – and doesn’t need our help. The Bible makes clear that life begins at conception. It says that every child is a gift from God (Psalm 127:3). If Jesus were here today, I am not sure if He would be carrying a sign, but we can agree He would be pro-life. Many are surprised to find that in fact, vaccines do contain aborted fetal tissue, including lung and kidney tissue. Today, many pro-vaccine Christians will convince themselves that aborted fetal cells in vaccines is just a sad part of the history of vaccine creation, as these “designer cell lines” (one of the names given to make them sound innocuous) were derived from elective abortions in the 60s. However, there is evidence that this is an ongoing practice. Even more concerning are the implications of using cells from fetuses, as DNA fragments in vaccines have been implicated in autism spectrum disorders, as well as increasing gender identity disorders. Consider that God forbade His holy people to drink blood, eat blood, or even mix it with certain other sacrifices. He explains in Leviticus 17 that the life of the animal is in its blood, and thus is what atones them from their sacrifice, pointing to the ultimate Atonement, Jesus. Yet, we find that there are animal by-products in vaccines. Not only are vaccines contaminated with DNA fragments from aborted fetuses, but also from animals, as they are grown in things like monkey and dog kidneys. These ingredients include carcinogens, neurotoxins, animal viruses, animal blood, allergens, and heavy metals. These ingredients can cause serious harm and even death to the body. We all know and have our own stories about how hard it is to trust in God in difficult times. But, we have to trust Him. As Christians, we believe He is sovereign. He knows all. He sees all. We have to believe that He has our best in mind (Jeremiah 29:11) because He does. We are called to be in this world, but not of it. And that often means going against the grain, walking the narrow path, and seeking His will alone. This applies to our relationships, our words, our work, our actions, and yes, our health decisions. The fear created by overzealous vaccine campaigns is real. Those advertisements are designed to provoke an emotional response, to make you fear your child becoming sick. However, when we make decisions due to fear, we miss out on hearing from God about what He wants for our lives. When we instead trust His perfect design, we can make decisions from a place of education, with a sound mind, and empower ourselves to make healthy choices for our kids. As Christians, there are plenty of arguments against vaccinations that are supported by biblical truth. Sadly, some states have already removed religious exemptions from vaccines, and still others have also removed vaccine exemptions based on philosophical beliefs, leaving parents to rely on doctors willing to support a medical exemption, which are hard to come by. That means that parental freedoms and choices are limited, and children may not be able to attend public school without receiving vaccines that may violate a parent’s religious beliefs. Vote your conscience and learn what your representatives believe about parental rights when it comes to vaccines. What are your arguments against vaccination? Share in the comments below! Vaccines and Autoimmune Disease: Is There a Connection? Danielle was born and always will be a farm girl, searching for God’s natural truths in an unnatural world. She’s a doula, health coach, natural health activist, and currently obtaining her naturorthopathic doctorate degree. When she isn’t reading about holistic healing, you will likely find her chasing a sweet little boy or a small flock of rebellious chickens in the Midwest mud. Sadly, exemption for religious reasons is not an option in MS. We homeschool our children, but they will eventually need to attend college. There aren’t any doctors here that will sign off for medical exemptions either. I’ve been asking for years. They all “believe” the pharmaceutical & vaccinaton companies’ hype. I had all natural births, don’t use any meds, nor cleaners, personal care products, or even makeup that contain carcinogenic, synthetic, or toxic products. Do you have any suggestions on how to avoid the vaccine requirement in MS once our children reach college age? Maybe attend college out of state? Pray things change before your children reach that age? Vote in such a way as to create that change. And consider alternative schooling options- apprenticing, online schooling, etc. Do what you can, to influence those in your life. Making a meeting with whoever will listen at your school or board, Educate them the irrefutable facts of vaccine dangers but more importantly, Nutrition alone will do more offensively than vaccines will do defensively. – Watch and give out copies of the movie ‘Vaxxed’ by Andrew Wakefield. – Try to comprehend, freedom of choice, freedom from vacinnes… In fact just watching Vaxxed is perhaps the best way to quickly ramp up on what one can do to help bring about change! Find a holistic dr.. a naturopath. They will sign off on a medical exemption.. if that doesn’t work.. get a lawyer to write you a religious or medical exemption. It’s going to cost you but the cost is worth the life of your child. So many colleges do online courses now. He can also Clep most freshman and sophomore level classes. Online college. That’s what our vcikfren will be doing if there are no exemptions at that time. I will not vaccinate them for college and undo everything we have worked so hard to protect them against. Although, I pray that things have changed by them. Thank goodness there is now online education for college degrees! Not only are they not being influenced by peers in sinful manners but they can get a full education and stay true to their spiritual and physical values! If out of state college isn’t an option online education is and there are Christian colleges such as Moody Bible Institute that are free to students that will grant an education while valuing your convictions. I believe this to be true. What would our state I’d health be if we first trusted Gods plan…he said he gave us plants for healing… Not human or animal parts. Also, of we work on building the immune system naturally. Exactly. I am so glad to find this article. There are several nurses in my church who think they are doing such a great thing giving flu shots and Gardasil. I also have thought that the aborted baby DNA is contributing to the gender identity issue. I have a dilemma. Our daughter gave birth to a baby girl that has been diagnosed with cystic fibrosis. She is adamant about us getting a flu shot in order to be around the baby. I would add that all of us are saved believers but, despite my biblical insights, she is firmly set on us having the flu shot, despite the fact that there are only 3 strains that it has any affect on. Would I be disobedient to God by getting it or should I not go around my granddaughter? I’m so sorry Robert. I think whether or not you’re disobeying God is between you and Him, but I wouldn’t get a vaccination to please anyone else ever, knowing what I know about their toxicity and the damage they do to the body. Her daughter is more at risk for getting sick from a recently vaccinated individual than she’ll ever be around those who haven’t been vaccinated. Praying your daughter sees truth. I agree, pray that your daughter would gain wisdom over the situation. Maybe do a little research on the effects of the flu shot. Many people don’t know that you can still get the flu even after receiving the shot. Robert, what a heart-wrenching predicament! I agree, though, that I would not vaccinate myself to please anyone else because I would be the one suffering the consequences. Of course, that would mean not being around your sweet grandchild…physically anyway. You can send cards, or books, and pictures to the baby, call often, deliver meals for the new Mom, or maybe diapers (and see the sweetie through a window) to show there is no hard feelings, but that you love your daughter and granddaughter. Your resolve to trust God will speak more than words will. I pray that The Lord will ease this situation for everyone involved. Have you asked your daughter to read the package insert for the flu shot , the side effects, etc? Does she know that if you get the flu shot you actually are putting yourself and her daughter at greater risk? You would shed the virus you are injected with, possibly affecting those close to you. If she is requiring you to put your health at risk, then she should be willing to look at all the facts and research. This is not something one human should be deciding/demanding of another human. It is very much like playing Russian Roulette. In hospitals, nurses who refuse the flu shot are asked to wear a surgical mask. Would this be an acceptable substitute to the vaccine when you are around your granddaughter? A person who gets the flu shot is 6x more contagious than a person who doesn’t get the flu shot. That’s facts. So by getting the flu shot you are more of a danger to the child. Vaccines have a “shedding” period that varies from individual to individual, but could be months long for some. Shedding is when the virus you’ve been vaccinated with (“from”) makes you a carrier for a time, and you are contagious during that period. If she knows more about that, and maybe imposes a strict rule of “no one sick bear baby, no kisses to baby’s face, and alcohol-based hand sanitizer before touching baby”, maybe it would let her ease up on her enforcement of what you do to your own body re: flu shots. I just have one thought to add, especially should any other believers find themselves in this situation. GOD IS GRACIOUS. Whatever actions you took for the well being of your child, especially in ignorance, God is gracious. Whatever vaccines, antibiotics or prescription drugs you may have administered to your child while being told it was in their best interest, God is gracious. Yes, your past actions may have far-reaching consequences, but God is gracious and He can and will sustain you and your child. Wisdom gained often brings with it an intense guilt from the past, but that isn’t God’s desire for you. GOD IS GRACIOUS. His greatest desire is for you to move forward in freedom with the wisdom you have been given. God bless you brother or sister in Christ! I so agree! We have to forgive ourselves and know that He forgives us too- and His grace is sufficient! I wholeheartedly agree. Thank you for posting about the Biblical perspective of vaccinations! This has been eating me up ALIVE that I’m TRYING to not let the fear of vaccinating my child get to me but every time her appointment is near, the fear comes back. I understand everything about the vaccinating but what I don’t understand is what if you don’t vacc. yur child and he/she starts to react to one of any type of sickness. Would she be okay? Would her body fight it? Like what if we don’t vaccinate our child, and this world gets to bad that the government on purpose spreads this air born sickness in air An our child gets sick. (That can be possible) would my daughter get worse for not being vaccinated? See there’s so much to say. Please pray for me an my daughter. Jesie from all I’ve seen and heard from families who have children that are unvaccinated and vaccinated the children who are not vaccinated are healthier. The unvaxxed have immune systems that are not loaded down with heavy metals, who haven’t had their kidneys and liver dealing with the toxins in the vaccines, the vaxxed on the other hand have been exposed to vaccines which constantly trigger the immune system into a hyper state possibly leaving them more prone to illness (eg ear infections) as it is overburdened and are definitely having to detox these toxins. Plus there is a very new study from Italy that shockingly showed that hexa infanrix didn’t even have ANY of the antigens for the diseases – meaning it’s just toxic placebo!!! Vaccines don’t improve immunity. If anything they deplete it. They rob the body of the ability to perform as God intended. My daughter has multiple disabilities, and a lot of reasons why getting sick is dangerous for her. But she is not vaccinated, and she is getting healthier and healthier as time goes on. She has been exposed to whooping cough without any problems. And she has been much healthier since we started boosting her immune system with healthy foods, essential oils, and supplements made to improve her general health. On the other hand, my two oldest, who were vaccinated were always sick. Ear infections, asthma etc. not to mention our second almost died of SIDS after her shots. Never again! 7 children. 5 never vaccinated. 6 oldest are now adults, and youngest is 10 and doing well despite her disabilities. Vaccinating is far scarier than trusting in God and applying his principles to health. Hi I partly vaccinated my children before I knew the truth. My children had reactions and got sick with every injection. That got to me. My grand daughter is unvaccinated. She was two years before she ever had a fever. The fever was mild and lasted 1 day. My oldest son ended up hospitalized because of vaccines. He was later diagnosed with asthma. When my children got sick, it was not mild and they stayed sick for days. Ear infection, eczema and frequent dr visits were the norm for many years . You only get one time to get it right. If I could go back I would not let them get any. Research look up the vaccine inserts on the CDC website. Also make the adjustment to natural vitamin A, D and C. They are much more effective than vaccines. Vaccines actually are designed to make you sick. If you build your child’s immune system with breast milk then healthy foods, the immune system will take care of her. Keep toxins, sugars and gmos from the diet and stay away from pesticides etc. If you fear going to the pediatric visits stop them. They are primarily for vaccine appointments under the guise of health care. Find a family doctor and only go when there is a medical need. The level of intelligence in unvaccinated children is amazing. Go online and read the vaccine inserts. The information there should make you know that you are not willing to risk your child’s natural health with the toxic contents. Some of those illnesses actually give your child a lifelong immunity and build the immune system when exposed naturally. When you vaccinate it artificially hyper stimulates the immune system and causes autoimmune diseases. Vaccines have never been apart of the decline in illnesses. What did cause the decline was better sanitation, hygiene and nutrition. Please look on YouTube for “The Truth About Vaccines” and Dr Suzanne Humphries Disolving Illusions. Also Dr. Toni Bark, Dr Nancy Banks and Dr Sherry Tenpenny. And you will have the confidence to say NO to the bullying of you and your child. I wish I would have read this before Oct. 1st. I am a fairly new believer, or at least a finally seeing the truth, and it was against every cell of my body that I got the flu vaccine to keep my job! If I had seen this sooner I would have had an argument to give and maybe could have been exempted on religious beliefs! Thank you! Next year I will be more prepared when this subject comes up again! Thanks God i found your writing related to vaccination. Me myself was one among the mother who had my twin injected during their 6 months vaccine schedule. Few days after, both my twin developed red rash on their cheeks that developed into eczema. They are almost 1 year 4 months now and still dealing with eczema & food allergies. My instinct strongly say this were all due to vaccination and will never let my only babies become the victim anymore. I feel guilty towards my two daughter because previously i never educate myself as a mother before getting them vaccinated without knowing the vaccine ingredients. I thank God i found someone who agree that God never made mistakes with our immune system. I do believe that both my daughter was a blessing from Him after 4 years marriage and they were our first born. When you reject vaccination, you need to become tough because the people around you be the family member or relative will push you to get shot. Fret not, it your baby future health matter, not theirs. Take heart & God bless! Look up betaine HCI +. Add it to your children’s diet also eliminate wheat and corn. You will find the eczema will clear up over time that way. It took 4 months for my daughter’s skin to start clearing up. Hello Jewel! thanks for the sharing..may i know what brand is suitable for toddler under 2 years? Maybe you can give some suggestion on what brand to look for.Praise God your daughter have healed from eczema. Check out the hydrochloric acid that is sold at dr.fitt.com you can make it in jello squares. It is called Robynzymes. Not cheap but it lasts a while. That is the only was I know to get it into a toddler. I worked in the ER as a nurse and asked for a religious exemption, and was told that I would loose my job if I didn’t comply. I was fired once I was found to be in non compliance. But, filed a discrimination case with Dept of Labor Equal Opportunity, and they accepted my case. Do you think it’s against God’s will if I filed a claim against them for discrimination because they refused to offer me accommodation? Should I have just turned the other cheek? Because, I feel that If I don’t stand up for our God given right to choose what we put into our body, then that right will be taken. I had a Christian question if God would want me to file a case against my employer, wondering if it was Goodly? If they rule in my favor, the hospital will be required to pay me a sum of money for damages, which I believe they should, because I lost my job, and the loss of time spent in that job has effected my ability to get employment also. What to you think? The Bible does not say anything against taking someone to court. It talks about not taking a brother to court, but rather settling things between you. If we do not fight for our rights in this area, we are not fighting for the rights of our fellow human beings. I believe if anything we have a duty to fight this injustice. God is a God of justice. While I can understand concern about your decision could you not also see this as an opportunity to help further fight for religious rights? I can’t imagine that being anything but christ like! saving faith will always get us through this life. @Lisa… Our Lord refers to not bringing another Christian to court, but rather to resolve the matter with the help of other Christians. (This in I Corinthians 6). Your employer was certainly not a chritian, so this does not apply to your situation. The concept of turning the other cheek came from Jesus in his sermon on the mount. He was speaking against the eye for an eye philosophy of personal retaliation. He was not relieving us of our duty to stand for truth. If you sue the company because their (ungodly) policy has resulted in your lost wages, then you are only asking that they hold up their end of your employment agreement. David was not wrong for going after Goliath. Lisa, I turn to the Book of Esther as my example that God gives us the right to self-preservation. The Jews were given the right to fight back against extermination, and this priciple still stands today. We are not required to be martyrs, especially to the pagan practices that surround us. Vaccinations are clearly practicing paganism, as it is not putting our faith in God our healer, nor in our belief that it is by and through Christ’s stripes that we are healed. Vaccinations furthermore attack our bodies’ natural immune system and weaken and/or destroy our health, “the temple of our holy spirit.” Ergo, vaccinations attack us at both a spiritual and physical level! It weakens our bodies AND our relationship with Father in heaven. We have a RIGHT to self preservation, aka self-defense, and that includes attacks from our employers. Fight back, even as the ancient Israelites did. We have the God-given right! Exellent, well thought out post. Thank you so much for being courageous and sharing these truths! Healthy People 2020 has an agenda to force all adults to be vaccinated on a vaccine schedule or you can’t get a driver’s license, can’t work with the public, can’t attend public events like football games. How would a football game know you’ve been vaccinated? would they scan your microchip to verify you are up-to-date on vaccinations? If they can forcibly vaccinate you, they can forcibly microchip you. I love this. Thank you so much. I have been so upset about the new vaccine mandates. Really sick over it all. We have decided to start homeschooling. My kids are vaccinated because I didn’t do my research and I put my trust in a doctor and not God. Now my oldest is starting middle school and that opens doors to new mandatory vaccines like hpv which has very scary side effects. I feel as a parent I should have a choice. Thank you God bless you! Can you provide elaboration and some links, references, resources on the last quoted statement that there is evidence that this is an ongoing practice.. I assume “this” to mean using new aborted fetal cells in current/updated vaccines? To be honest, the links that I found before seem to be gone. I will add some if I can track them down. I do my best to avoid biblically unclean foods. 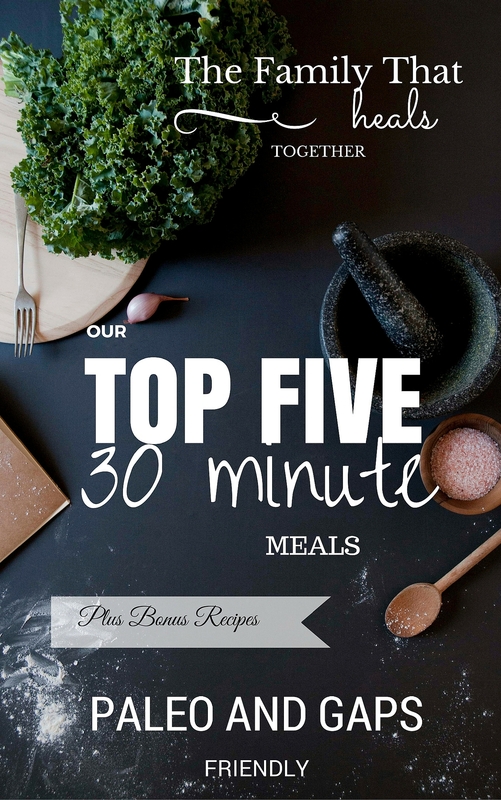 Therefore, consuming or injecting anything from dog, monkey, pig (porcine gelatin), etc. would be against my biblical beliefs. What is sickening is that you’re using God’s word to justify your position on vaccines, and NO scripture you provided is being used in its correct context. Vaccines ARE NOT made out of fetal tissue. The government is required to provide all ingredients listed in all vaccines which are publicly available on the CDC website. There’s one thing to be a Christian and trust in God to keep you healthy, but it’s another thing LYING and misleading other Christians. Shame on you. Just a few to note: the adenovirus vaccine contains human-diploid fibroblast cell cultures (strain WI-38); the Dtap contains MRC-5 cells and normal human diploid cells; the Hep A contains MRC-5 diploid fibroblasts; the MMR contains WI-38 human diploid lung fibroblasts. Should I keep going? HUMAN DIPLOID cells ARE TAKEN FROM ABORTED BABIES. You can even read about how those cells were harvested from specific babies if you look them up. Please do your homework before calling me a liar. I wish this wasn’t the truth, but it is. Nice article. The Messiah would never have gotten these vaccinations with unclean animals in them. Leviticus 11 and Deuteronomy 14 discuss which animals are clean (food) and unclean (non-food) and to touch the dead carcass of an unclean animal is forbidden and called an abomination to eat. How much more injecting unclean animal cells into the body? Not to mention that the animal cells used to make the vaccines are animals that the Lord declared unclean. Thanks so much for the info on aborted human fetal cells as an origin for vaccines. It has helped me finally make up my mind with no further uncertainty as I had already decided that I didn’t want to use them based on animal derivatives and query unsafe chemicals but I was left with a slight niggling doubt until I read about the human element. I have 3 children , but my last son born in September 2018 is 10 years after the other 2. Both my older son and daughter had every vaccine up to 12 months old and both my children between ages 1 and 3 had extremely frequent bouts of high temp 39.4 degrees and they had every vomiting bug and one caught pneumonia and nearly died, gladly he lived but has developed autism . I have no clue what part vaccines played in my sons autism. My baby son was born at 28 weeks gestation and was on oxygen for weeks after birth and I am naturally more cautious. I came to faith a few years before my third child was born and can clearly see that Bible does not appear to support vaccines. The following Scripture helps me. 14 Is anyone among you sick? Let them call the elders of the church to pray over them and anoint them with oil in the name of the Lord.15 And the prayer offered in faith will make the sick person well; the Lord will raise them up. If they have sinned, they will be forgiven. Since coming to faith the amount of sickness my children suffer is less. May God ever be praised for the truth.